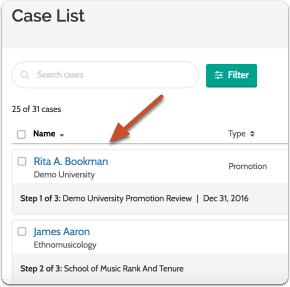 Administrators can set whether or not comments are allowed in Interfolio Review, Promotion & Tenure. 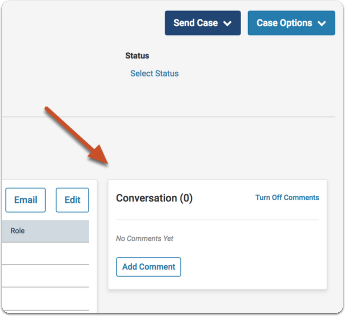 If allowed, users can leave comments on a case using the conversation feature. 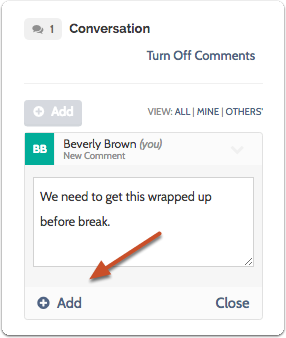 Comments or "conversations" are specific to a committee and only visible to committee members, managers, and administrators who have access to a case at a given step. Even if more than one committee has access to a case at a given step, the comments left on a case are specific to each individual committee and only visible to members of that committee. Enter a comment and click "Add"
Note: Comments cannot be edited once they are posted, but may be deleted by the writer or an Administrator. 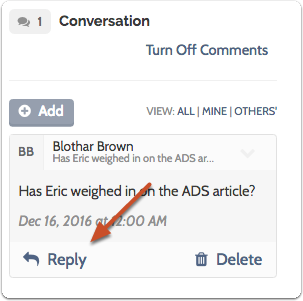 Users can respond to comments left by other reviewers by clicking to open the comment and clicking "Reply"